You’re moving. And you want it to be a safe, efficient, quality-driven move, right? You don’t want day laborers or an inexperienced team coming through your home, making a mess and then insecurely transporting your belongings – the ones you worked long and hard for; the ones that matter to you – do you? You want credible movers. You want a team that knows what it’s doing – and, more than anything else, takes pride in the effort. 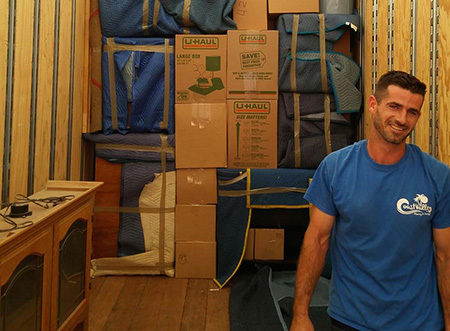 At Coast Valley Moving, you’ll get just that: A premier team of highly trained, more-than-capable residential movers movers who understand every nuance of the moving process. As a premier Wheaton World Wide Moving agent, we wouldn’t have it any other way. We set the standard high, so that our team of professionals delivers a constant service – one that they’re proud of when all is said and done. Furthermore, as a BBB-accredited company with an “A+” rating, our reputation speaks for itself. People love doing business with us because we’re fair, honest and our employees have integrity – now that’s something we’re proud of. Call now for a free, no-obligation consultation and quote from one of our team members or fill out a quote form right here on our website and we’ll get in touch with you as quickly as possible. Call or click today!